February 4, 2019 January 14, 2019 by Beau H.
An easy-to-assemble sofa that looks great and instantly amps up your space. It’s not every day that you find one of the best sofas to buy now, just floating around the pages of The Style Guide. But, that’s part of our goal here at the Brooklyn HQ — delivering the best style essentials for men, regardless of season. That includes home goods, seeing as how you design and outfit your space is all the rage right now. So, we’re starting things off with a look at the Three-Seater Sofa from Burrow. Fear not — we’ll also get into the best new watch to buy right now, plus some stylish winter outerwear (and plenty more!). Happy hunting! A handsome sofa to upgrade your home. Now, we don’t too often get into talking about the best furniture for your space. Whether that’s your den, your living room or your apartment, Burrow can help bring a refined, sharp air to any space. The Three-Seater Sofa seems to me like the best couch for the modern man. A sharp dress watch you’ll want to wear on the daily. Now, here’s that stylish leather watch we talked about. It can be hard to find the right black leather dress watch, seeing as it’s more specific and often more expensive. But the About Vintage 1844 Chronograph delivers in every single area. A neutral and utterly classic chambray shirt for every occasion. Part of the Essentials Collection from the California-based style pros at Taylor Stitch, this classic chambray shirt is as easy to wear with a navy flannel suit as it is to layer atop a perfectly rugged henley on a winter weekend. A stylish vest like this one shown here from Faherty Brand is the perfect way to layer up this winter (ideally over your classic chambray shirt from Taylor Stitch). An exceptional winter jacket, made with all the warmth and style you need. It’s not all that often that you associate France with surf culture or a rugged coastline, right? That’s exactly where Hoalen draws inspiration from to make one of the best men’s winter jackets your editor has seen. Wear the Hoalen Mariner 3 Jacket every chance you get. Dependable boots from an iconic brand. Now, we previously covered another iteration of the Red Wing Heritage Rover Boots (in this post), but this new take on the classic style is worth investing in, as well. Rich Hawthorne Muleskinner leather and timeless construction make these an instant winter style bet. An easy way to upgrade your cup of coffee. Among kitchen upgrades you can make right now, might I suggest by picking up a surprisingly stylish pour-over kettle? It might just make the best cup of coffee you’ve ever had. 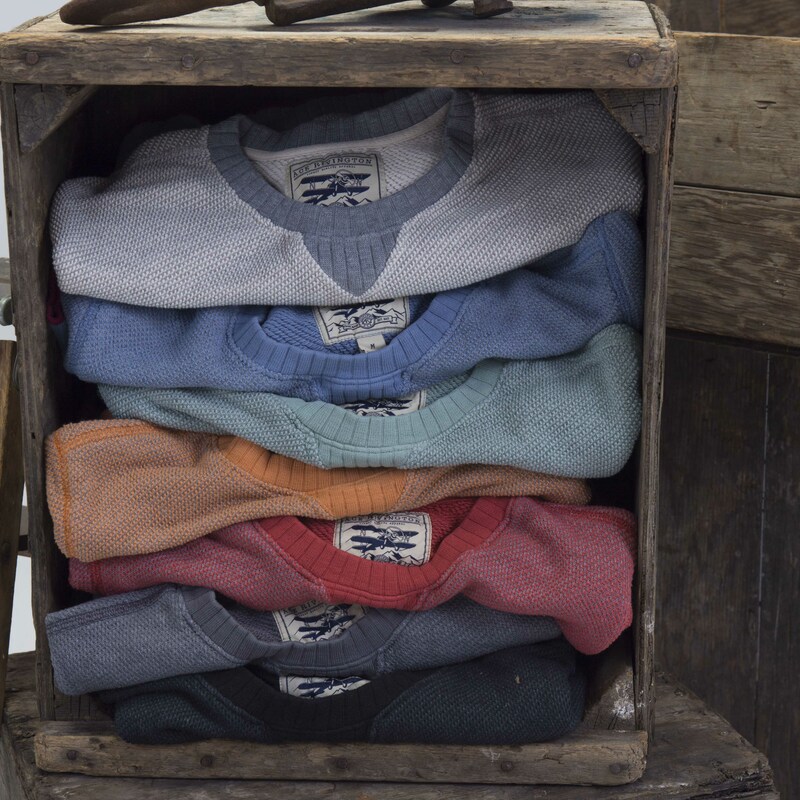 A classic crewneck sweater from a timeless brand. Another stylish winter layering option from Faherty Brand takes the cake. The Heritage Fleece Crewneck is cozy, soft and assuredly one of the best men’s crewneck sweaters. 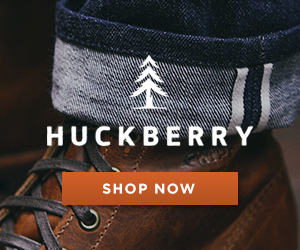 Wear it with expertly broken-in denim and your favorite pair of chukka boots. A classic winter shirt, made with style and eco-conscious practices in mind. We keep recommending the stylish and sustainable menswear at Outerknown — and in particular, the Outerknown Blanket Shirt — because it’s an excellent, comfortable layering essential for winter. I’d say you should pair it with the Heritage Fleece Crewneck from Faherty Brand. Tough work pants from an iconic brand. Durable, dependable and every bit as classic as you’d expect from Levi’s, these stylish work pants would pair perfectly with rugged moc toe boots and a bold shawl collar cardigan. Take on the day with this stylish gym duffel. For the modern man on the go — that’d be you — add the reliable Aer Gym Duffel 2 to your list of everyday carry essentials. A warm, cozy winter blanket. There’s nothing quite like wrapping up in a new favorite blanket on a chilly winter day — both you and your partner will appreciate The Citizenry Peruvian Wool Abrazo Blanket. That’s going to wrap up today’s edition of The List. Which of the above picks did you like the most? I’m a big fan of both the Red Wing Heritage Rover Boots and also of course, the incredibly stylish, easy-to-build Three-Seater Sofa from Burrow. Let me know your thoughts on these picks on Twitter! January 23, 2019 January 2, 2019 by Beau H.
Roll up your sleeves and get to work with this outstanding Taylor Stitch shirt. Folks, if you haven’t caught on yet … it’s still winter. It’s still cold. And it’s still a struggle to get through the nasty weather, even with some of the best men’s style essentials on tap. However, we’ll push through. We’re taking a versatile and wide-ranging look at all the classic menswear and home goods you need to refresh your January, from a classic Oxford shirt from Taylor Stitch (shown above!) to a new, stylish leather watch … that’s just a quick start. So, read on, gear up for January, then let me know what you think on Twitter. A pleasingly textured shirt for all your winter weekend adventures. It’s very, very difficult to misstep when wearing a classic Oxford shirt, especially from Taylor Stitch. And this shirt has plenty going for it, from the corded cotton texture to the tailored fit. It’s a winning shirt to wear with the brand’s slim chinos, and perhaps stylish leather dress shoes. That’s a fitting way to keep winter rolling, if you ask me. The right watch for nearly any occasion — agreed? How are you accessorizing your classic Oxford shirt? Why, with a uniquely stylish leather watch from Martenero, of course. 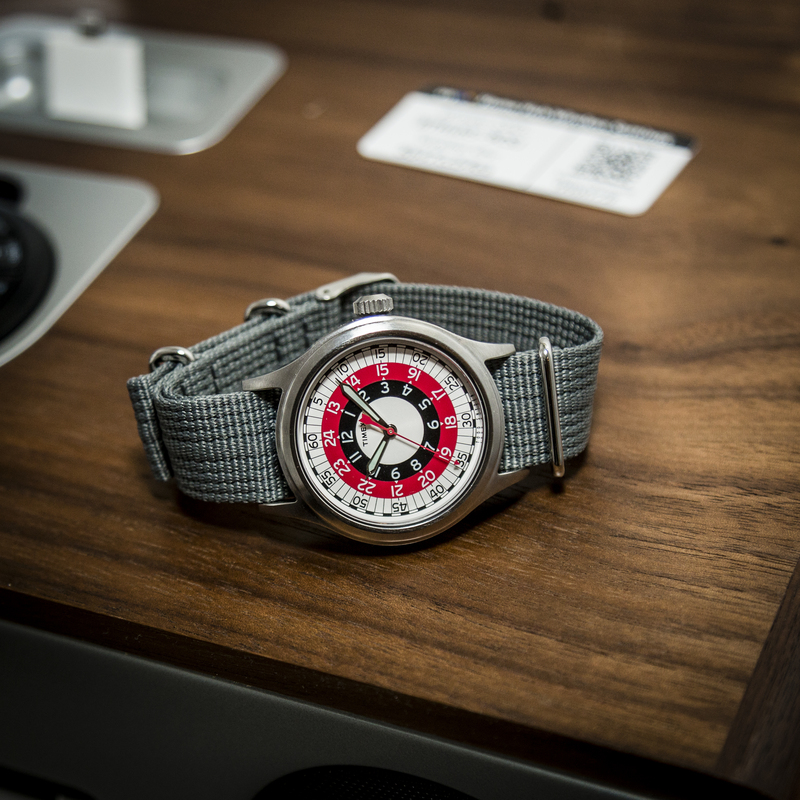 The Martenero Kerrison Watch is beautiful and yet rugged, all at once. 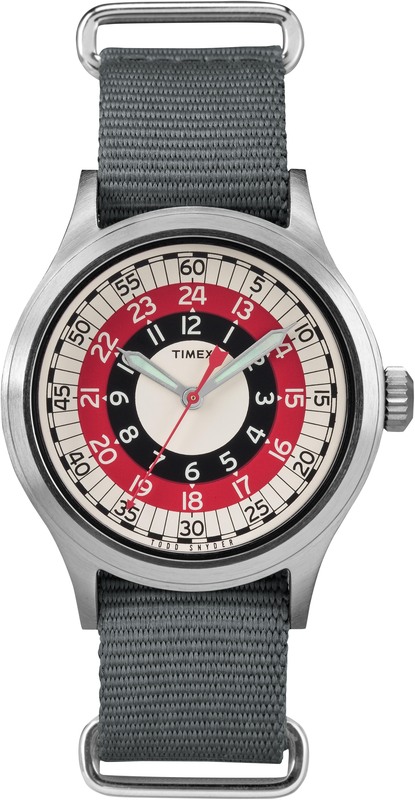 The perfect everyday timepiece? You decide. A handsome, functional leather phone case. Shouldn’t your leather phone case be as dependable and stylish as the rest of your men’s style essentials? Nomad is doing things the right way here. A classic sweater that’s going to keep you warm all winter. Utterly timeless and made the old-fashioned way, this classic winter sweater from Peregrine is the maybe the best winter sweater to wear when it’s almost too cold to fetch more firewood from outside. Not anymore, folks. A worthwhile read featuring an indie rock legend. The man behind indie rock legends Wilco has quite the life story — “Let’s Go (So We Can Get Back)” is a fascinating tome and deserves a spot on your bookshelf. A classic pair of denim, blending comfort and style. Revtown does things the right way, to say the least. We’re talking slim denim in versatile washes, with neat details like contrast stitching. Cuff them and wear ’em with your favorite pair of leather boots. A comfortable flannel shirt for whatever winter throws at you. We’ve previously talked about Faherty Brand and its Brushed Alpine Flannel Shirt (see this post on winter style must-haves), but the Wine Chestnut Flannel Shirt is too good to pass up. Cozy, comfortable & pleasingly rugged, it’s your new favorite flannel for winter. The perfect casual weekend layer. 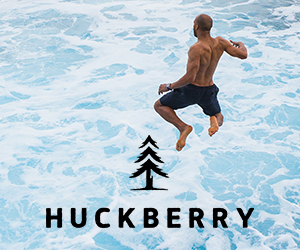 Made with expert construction and extremely comfortable fabric, the Knickerbocker Mfg. Co. Crewneck is quite possibly one of the best men’s sweaters for winter. It’ll do very well as you dress for a stylish winter weekend, no doubt about it. A reliable layer from a very reliable brand. Some of the best boots your money can buy. From the rough and rugged leather to the mini-ripple rubber sole, the Viberg Service Boots are assuredly one of the best pairs of leather boots to buy for January and well beyond. These tough trousers should become a winter staple. If you’re looking for the right pair of rugged everyday trousers to wear with the Viberg Service Boots, you’ve come to the right place — the Finisterre Geevor Trousers are made with organic duck cotton canvas for warmth and durability. Certainly, the most stylish bath towels you’ve owned … right? What’s one home goods essential you might not think about a ton? Easy — the linens in your bathroom. Change all of that in 2019 with the best bath towels on the market — from Onsen, naturally. Your guests will thank you. An ultra-soft henley available in multiple colorways for winter. 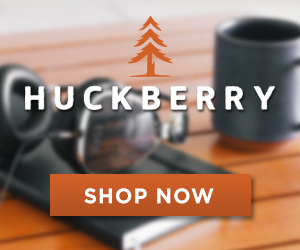 Need a henley to wear with your new pair of slim Revtown deinm? The Revtown Standard Henley, in a super-soft fabric (plus a cool Charcoal Heather color) is the way to go. A new pair of jeans for the new year, for when you feel like switching from Revtown. We’ve previously discussed how to get a discount on Outerknown menswear, so hopefully, you’re familiar with the brand’s uniquely stylish and sustainable wares. If not, Outerknown denim is an eco-conscious, modern place to start. Pick four records, then listen as they become all-time favorites. Now, we’ve talked about the winter style essentials to buy now — but what about something new to listen to as we start a new year? That’s where the Bespoke Post Groove Box comes into play. Pick four of 13 records (including “Boxer” by The National! ), then listen away. A refreshing way to shake up your sock drawer. For any time of year — let alone the depths of winter — stylish, warm socks are a must. Good thing for all parties involved that Anonymousism crafts some of the best men’s socks on the planet. Now then — for which of these picks are you going to bat? I love the rugged durability and timeless style of the Viberg Service Boots, personally. 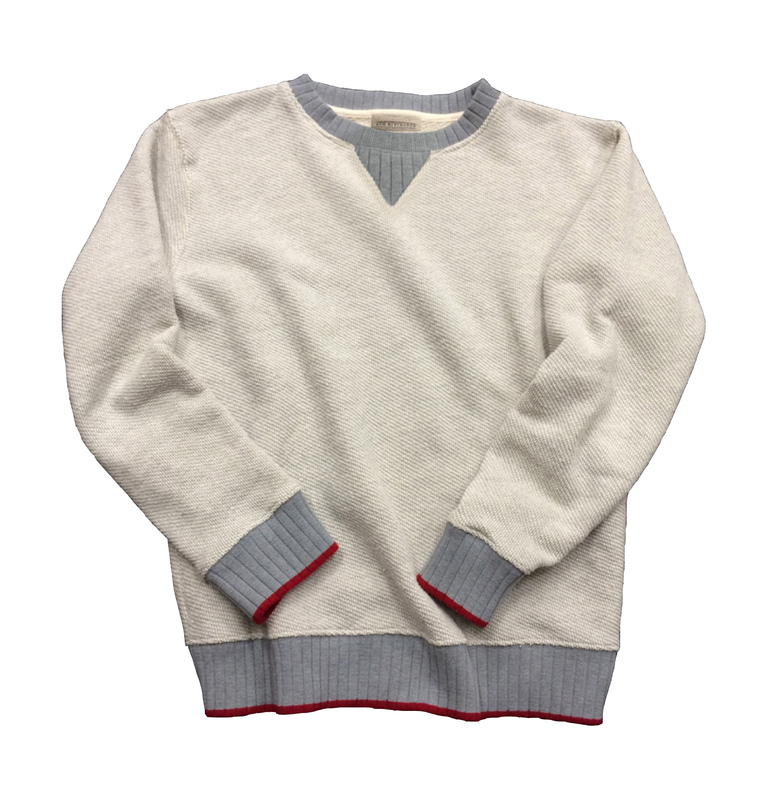 But I also appreciate a classic winter sweater from Peregrine — maybe pick up both for yourself? In the meantime — enjoy, and thanks for reading! September 2, 2015 by Beau H.
Editor’s note: For a wide array of brand profiles covering companies big and small, click here. 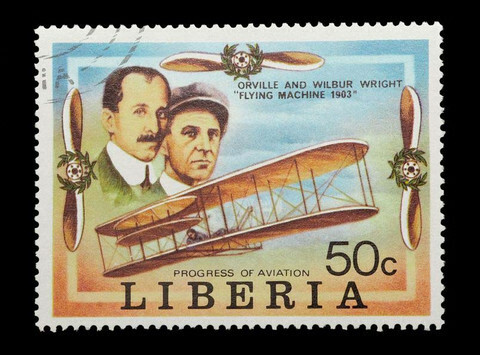 Aviation, as you might guess, figures strongly into the backstory of this brand. Photo courtesy of Ace Rivington. At a special media preview sponsored by ethical lifestyle brand Apolis earlier this summer, I ran into a situation that rarely, if ever, happens. I was chatting briefly with Apolis co-founder Raan Parton when he introduced his companion — another Beau, in fact. It just happened to be Beau Lawrence, founder of up-and-coming menswear brand Ace Rivington. What he had to say about his brand and the backstory behind it immediately caught my attention, and discerning consumers would do wise to listen up, too. The sweater that started it all –a colorblocked crewneck made out of high-quality fabric. Photo courtesy of Ace Rivington. Ace Rivington first made a name for itself with a wildly successful Kickstarter (to the tune of $60,990 raised) for its Homespun Sweatshirt, a crisp upgrade to the once-casual crewneck sweater. The fact that the crewneck sweater is now an accepted menswear staple definitely contributed to the brand’s initial success, but in the time since then, they’ve moved beyond just sweatshirts. That staple item was borne out of a simple set of perfect fabric, though. Once he’d found the right knit, Lawrence quit his job in November 2013 and got to work — bringing with him more than 18 years of experience in the denim industry. 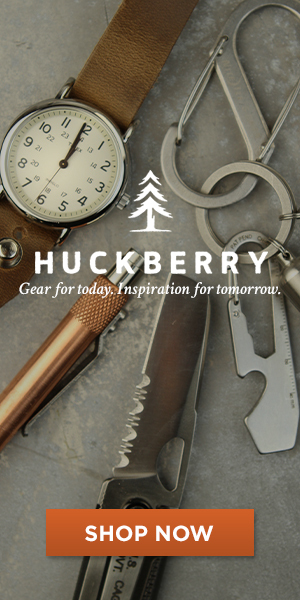 Add in the fact that the brand focuses on American manufacturing and you’ve got the makings of #menswear success. A playful historical narrative accompanies many of the brand’s products. Photo courtesy of Ace Rivington. What’s even more compelling about the brand is the playful, heritage-filled story woven into its products. Consumers can follow along with the daring Ace Rivington and his family through the brand’s blog. Ace is a fictional pilot who provides the sartorial inspiration for the brand’s rugged staples — and spirit of adventure. The concept is something that few, if any brands, have tried. Sure, plenty tie back to the ideals of heritage quality, history and pieces built for decades — but Ace Rivington is the only one that provides quite literally an inspired story to back it up. Some might find it too much, but the ways in which the product is designed and the creative is presented definitely help build the narrative into a cohesive brand identity. American-made denim in a variety of washes rounds out the brand’s pants offering. The company’s offerings are tight and controlled, particularly its shirting — five models are for sale on the site right now, including a Beach Washed Chambray option that would serve as a fine complement to the brand’s made-in-the-USA selvedge denim. That denim however, does run for a premium price — more than $200. Its chinos also venture into Bonobos-esque pricing territory ($89) but pack classic military styling inspiration into one pair. And while some are against the jogger trend entirely, Ace Rivington does indeed stock an aptly named pair — after having checked out a pair from the brand, the Layover Jogger (made out of a lightweight cotton weave) is actually the type of pant you’d want to be wearing if you found yourself stranded in an airport. On the shirting front, it does appear as if the brand is planning a broader expansion come next spring, as they teased out a product shot of a neat-looking short-sleeve shirt on the company’s Instagram account recently. Available in a plethora of colors, the brand’s crewneck sweaters helped Ace make his name. Photo courtesy of Ace Rivington. The iconic sweater the brand launched with is also on the site in multiple colors, and colorblocked cuffs plus a ribbed collar help it stand out from your average crewneck. At a 90% cotton/10% polyester blend, it might not be the kind of sweater that shields you from an Arctic chill, but it would be the ideal layering piece for fall, particularly underneath a herringbone blazer. At $129 however, it’s again an investment to give some thought. Ace Rivington sells, among other footwear offerings, some casual-rugged chukkas from SeaVees. Ace Rivington’s outerwear selection is small but does feature a café racer jacket. Likewise, it keeps its footwear offerings on the small, yet classic, side as well. Two pairs of excellent Wolverine boots, a classic three-eye chukka from SeaVees and two pairs of utilitarian SeaVees sneakers round out the product focus. The brand’s accessories add a dash of the unexpected to your everyday carry, including a branded Zippo lighter and aviation-themed playing cards that line right up with the brand’s aviation-minded backstory. As to be expected for a brand that built its foundation on a simple sweatshirt, its basics are similarly well-constructed. The brand was kind enough to send along a Home Washed Heathered Crewneck in Oatmeal, and it’s extremely soft with a slim yet comfortable fit — exactly how a T-shirt should feel. Judging by the brand’s quick rise through Kickstarter, planned product upgrades in the coming seasons and compelling backstory, Ace Rivington seems like the type of brand that can definitely strike a chord with customers looking for crisp basics that incorporate just-different-enough touches and reliable quality. And if you happen to be an aviation enthusiast, there’s perhaps no better brand out there. Have you bought any product from Ace Rivington? What’s your favorite item from the brand’s site?